Despite the dwindling number of journalists, you won’t catch the Russian media falling asleep on the big stories, like fidget spinners. As The New York Times reports, the state-owned news channel Russia-24 is launching a full-scale investigation into why Russian kids are so into these things, and just what external forces might be pushing these plastic bits of joy into said kids’ hands. “It is a mystery why it has become so popular in Russia right now. Who is promoting this to the masses so actively?” the Russia-24 reporters queried, seemingly earnestly, as if Cheburashka and marketing departments had never existed. Granted, that little bear(?) didn’t spark a $500,000,000 trend, but it still seems rather odd to get worked up over something intended to calm people down. And yet, just last week, Newsweek picked up another Russia-24 story questioning the real purpose of these three-spoked thingamajigs, which it has called “object[s] for zombifying” because of what it’s deemed their hypnotic effects. And it’s not just consumer-focused agencies that are wading into the great fidget spinner debate. 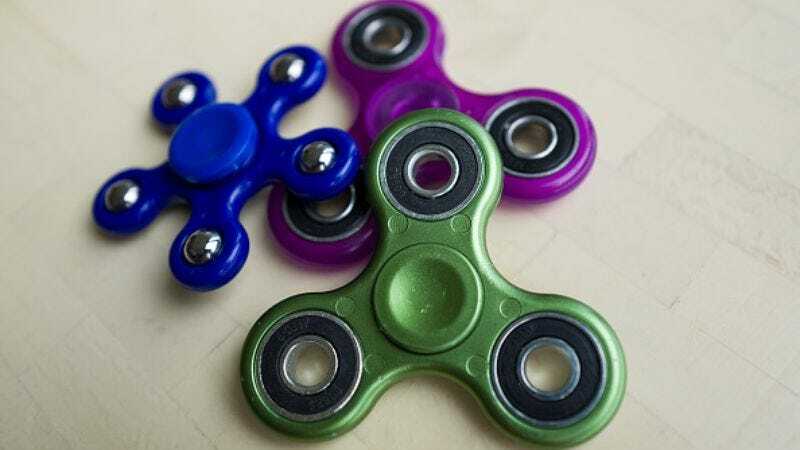 There are also theories floating around that the toys are being used to “pacify” the public and quell the opposition, which means the country might need to revise Karl Marx’s quote to read “Fidget spinning is the sigh of the oppressed creature, the heart of a heartless world, and the soul of soulless conditions. It is the opium of the people”.